The Arden Championship Course and Aylesford Resort Course complement each other with offerings of water hazards, trees and bunkers for golf players of all abilities. Our weekend break incudes two rounds of golf on two fabulous courses and we can make new friends whilst putting and chipping. 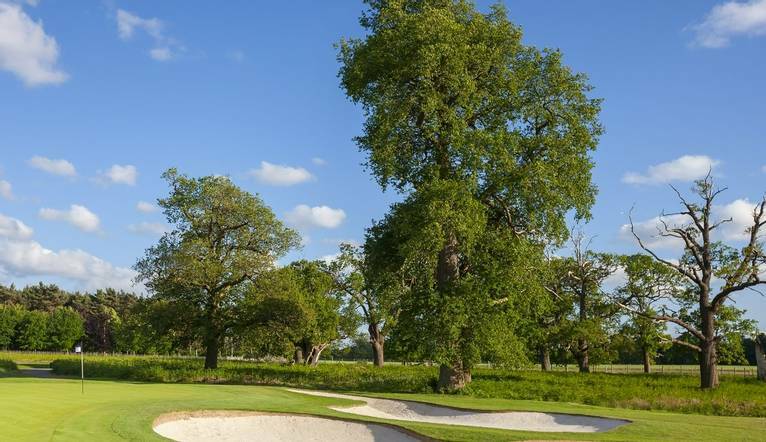 For a fun and friendly weekend, join us at the Forest of Arden Marriott Hotel in the Warwickshire countryside, perfect for unwinding and enjoying some sociable golf at one of the UK’s top golfing resorts. Two spectacular courses, a charming hotel and good company will make this a weekend you won’t want to miss. Set amidst ancient woodland and natural lakes, this course is considered by many as one of the finest in the country. A good variety of water hazards and bunkers guard the greens and thick roughs lie in wait. The 18th involves a 200 yard drive over a lake, providing a tough but wonderfully exhilarating finish. Although shorter than its prestigious neighbour, underestimate this course at your peril! The intricate design makes the greens difficult to read, whilst cunningly positioned water features need a high level of accuracy. This elegant hotel in the West Midlands near Birmingham is classed as a top UK golfing destination with two golf courses and a golf academy. The hotel is located close to Junction 4 of the A45. Complimentary car parking is available. The stylish bedrooms feature satellite TV, safe, tea/coffee-making facilities, iron and hairdryer.